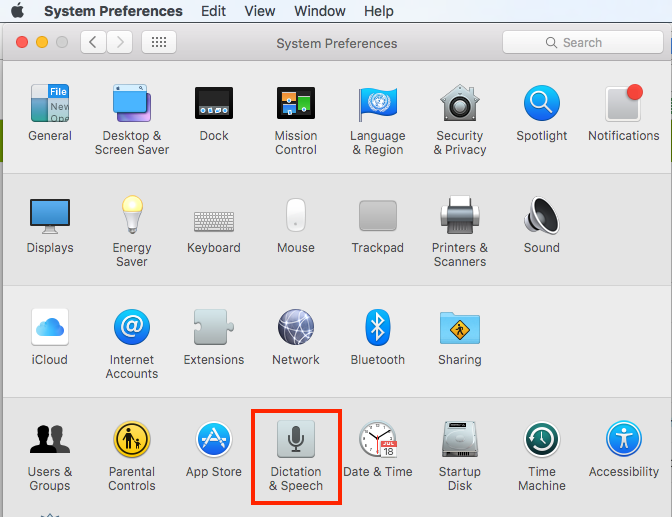 Did you know that your Mac has the ability to read to you? 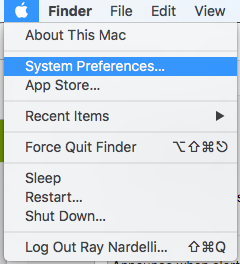 Just follow the steps below to learn how. 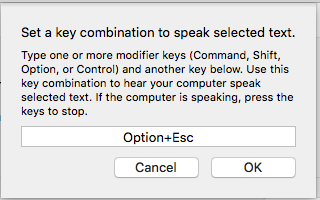 By default the key combination is set to “Option+Esc”, but you can change this if you like by clicking on the “Change Key” button and selecting a different key combination by following the instructions in the box. 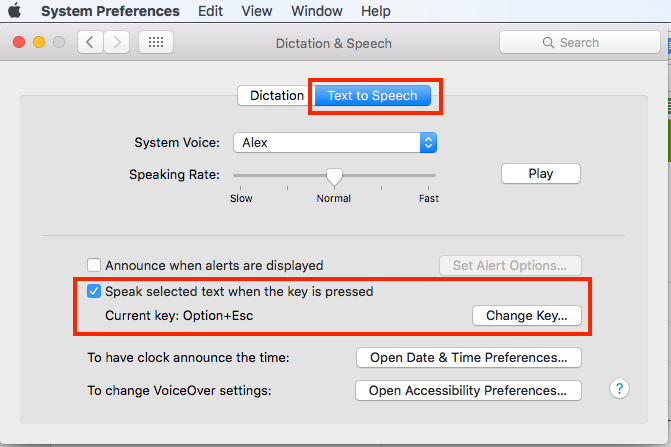 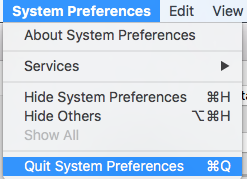 Now, all you have to do is select text in any application and then press the Option AND Escape keys simultaneously to have the Mac read you the text!